Attention: Basketball camp organizers, park and recreation directors, school administrators, coaches, teachers, police departments, boys and girls clubs, and YMCA directors. Select players from the SBA and the US Legends will be available upon request to help mentor, educate and speak to kids about a variety of issues that affect the youth. 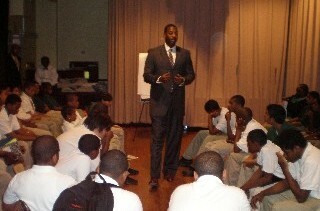 It is extremely important for the SBA to find ways to give the Youth an outlet for positive thinking and behavior. Our players stress the importance of education, positivity, and self-confidence. 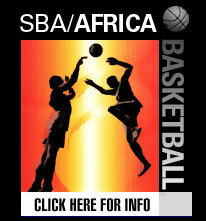 The SBA will use basketball as recreation and as a motivating component as an introduction to our enrichment programs. Through basketball, we are able to build character, confidence, responsibility, accountability and a host of other qualities that will aid in personal, family, and community development. Basketball teaches the value of Teamwork, not I work. This is a fundamental life lesson that can be employed in all situations to further enhance our quality of life. If you would like more information about the SBA Ambassador Program please contact us.